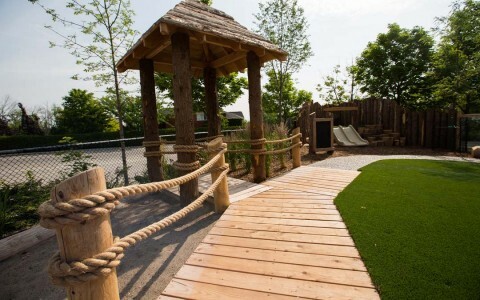 The YMCA Oakville’s St. Marguerite d’Youville site was a beautiful canvas. 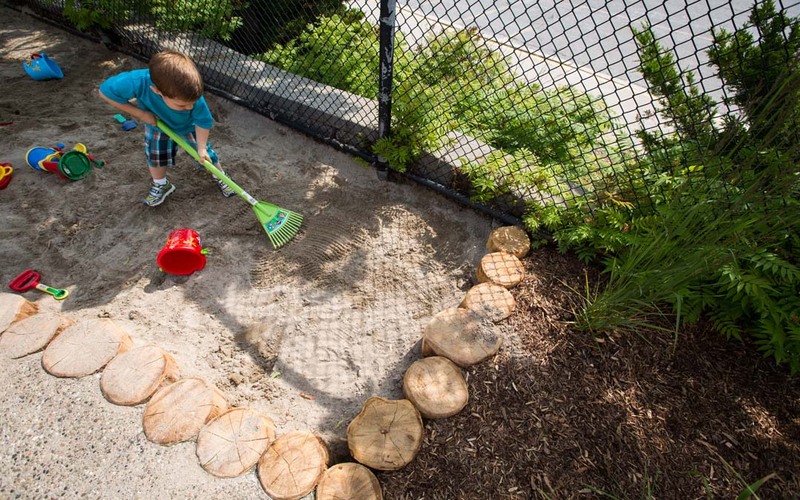 The initial vision was to remove asphalt, provide seating, and create clean eating spaces. 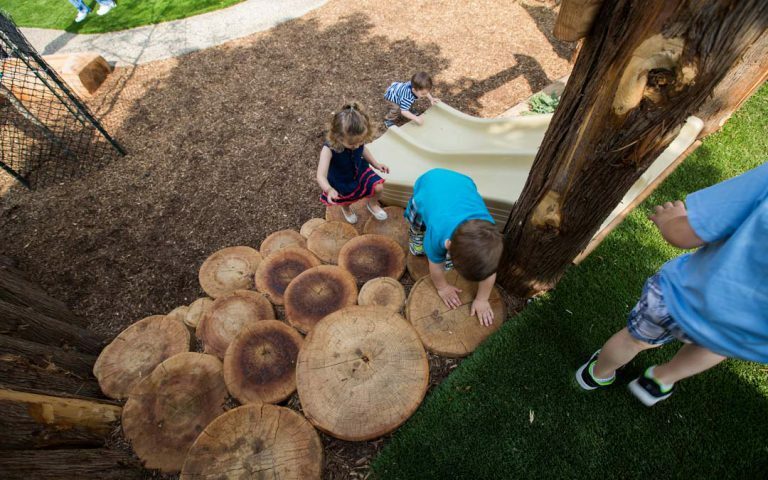 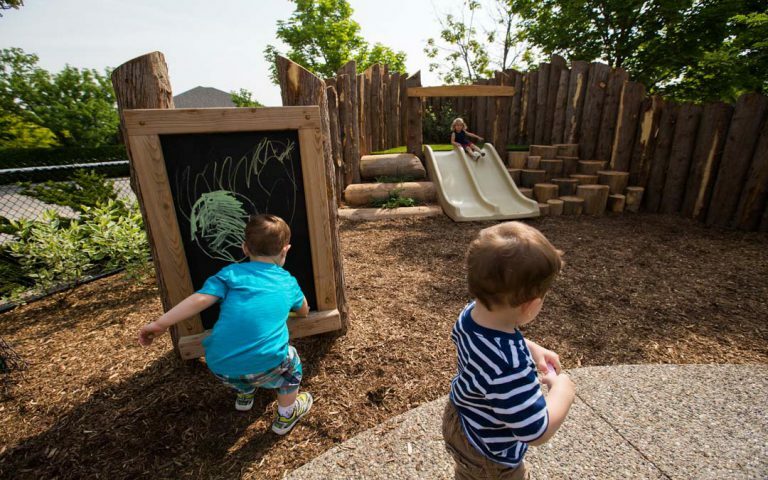 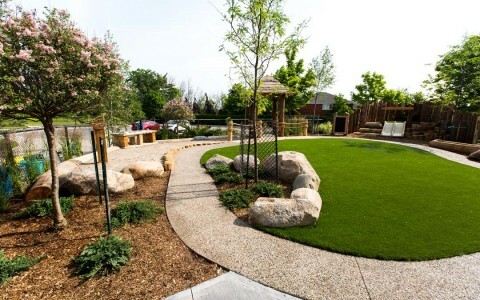 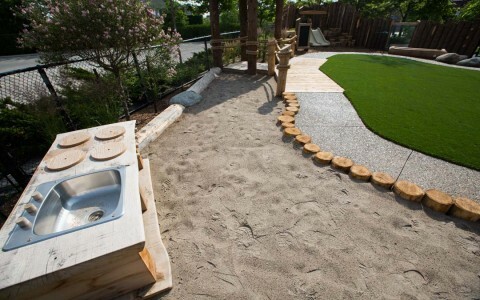 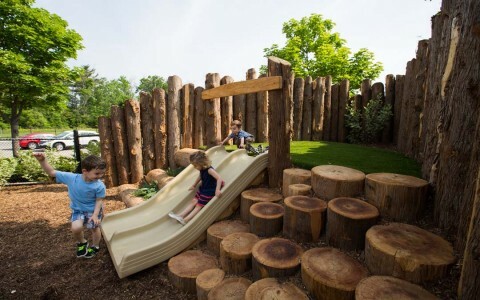 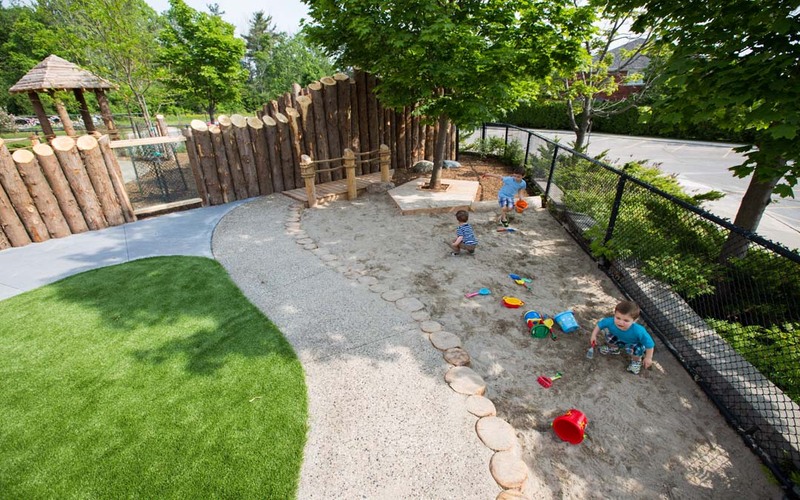 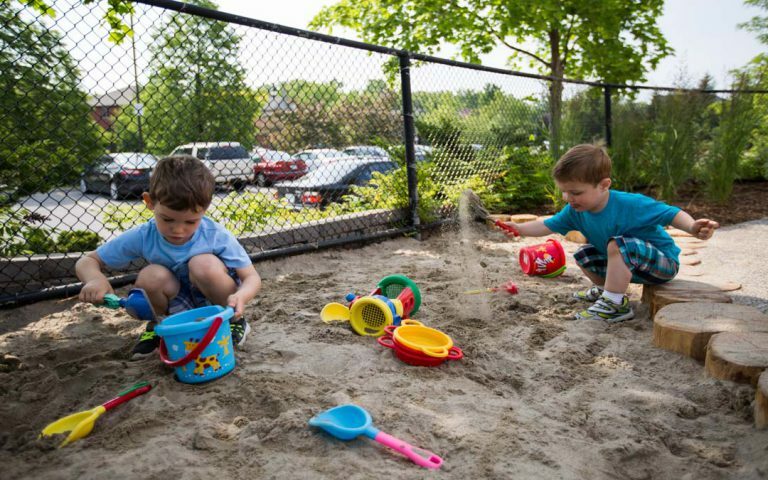 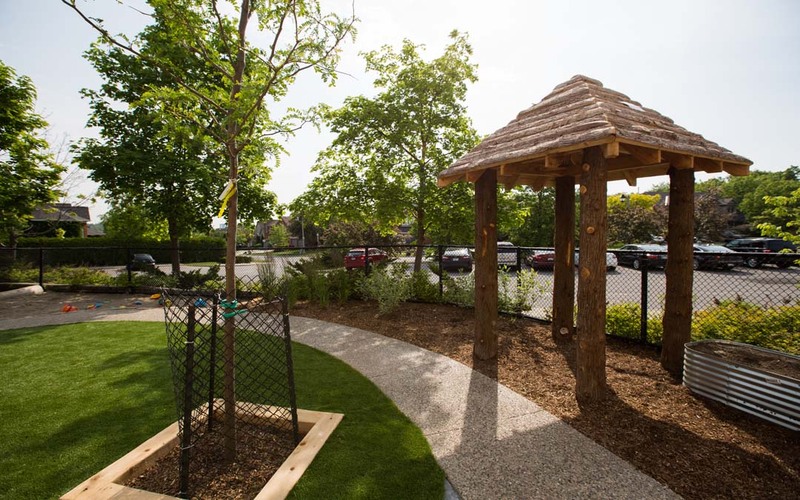 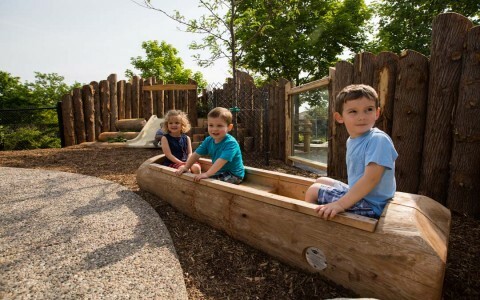 The vision transformed into something more grand: a custom playground including an outdoor kitchen, sand play areas, a hill slide and a variety of sensory experiences. 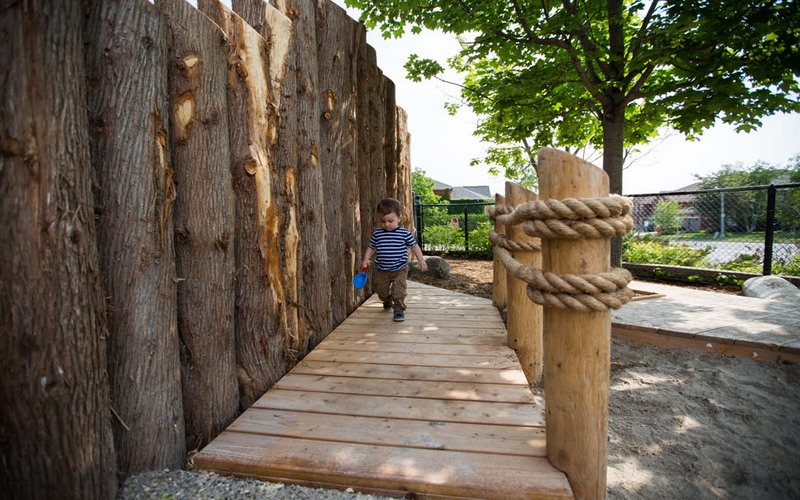 Earthscape’s “Jungle River” design features tinted concrete waterbeds (for trike riding), boulders, rapids, and finally sandy shores marked by a riverside hut. 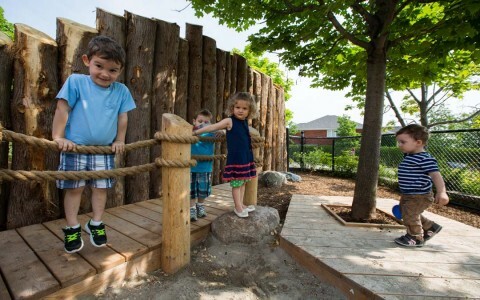 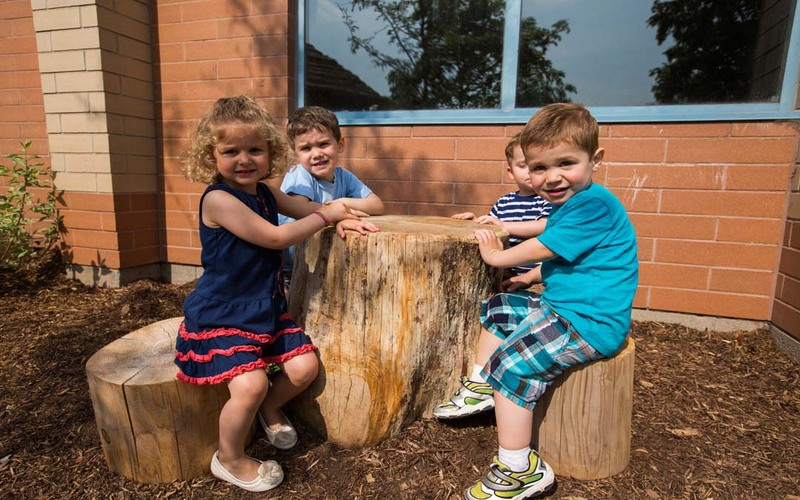 This daycare playground will provide children at the YMCA-Oakville site enormous opportunity for passive, active, and creative play for years to come.